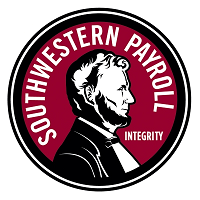 which of Southwestern Payroll’s many features and services are right for you? customer support is ready to guide you through the process. I was nervous when it was time to hire a Payroll Service. Thanks to everyone at Southwestern Payroll service for taking all the stress and worry oﬀ my shoulders! I give you 10 Stars! Stevi and her team are awesome and are less than half of what my accountant was charging!